The holiday season is all about cute. You’ve got those ads with adorable children and those movies about baby animals with big eyes. People “just have this flash of thinking: ‘I want to crush it’ or ‘I want to squeeze it until pops’ or ‘I want to punch it,’ ” says Katherine Stavropoulos, a psychologist in the Graduate School of Education at the University of California, Riverside. About half of all adults have those thoughts sometimes, says Stavropoulos, who published a study about the phenomenon in early December in Frontiers in Behavioral Neuroscience. 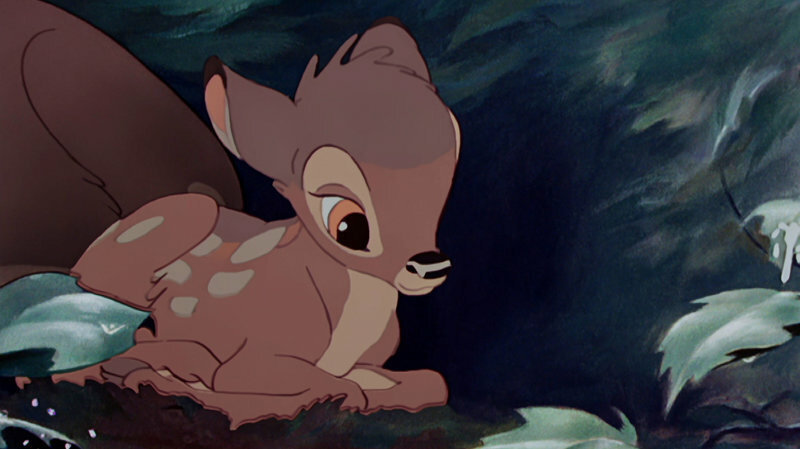 But those people wouldn’t really take a swipe at Bambi or Thumper, she says. “When people feel this way, it’s with no desire to cause harm,” Stavropoulos says. The thoughts appear to be an involuntary response to being overwhelmed by a positive emotion. Cute aggression was first described by researchers at Yale University several years ago. But Stavropoulos, a cute aggressor herself, wanted to know what it looked like in the brain. So she and a colleague recorded the electrical activity in the brains of 54 young adults as they looked at images of animals and people. The images included both grown-ups and babies. Some had been manipulated to look less appealing. Others were made extra adorable, meaning “big cheeks, big eyes, small noses — all these features we associate with cuteness,” Stavropoulos says. The study found that for the entire group of participants, cuter creatures were associated with greater activity in brain areas involved in emotion. But the more cute aggression a person felt, the more activity the scientists saw in the brain’s reward system. The combination can be overwhelming. And scientists suspect that’s why the brain starts producing aggressive thoughts. The idea is that the appearance of these negative emotions helps people get control of the positive ones running amok. “It could possibly be that somehow these expressions help us to just sort of get it out and come down off that baby high a little faster,” says Oriana Aragón, an assistant professor at Clemson University who was part of the Yale team that gave cute aggression its name. Aggressive thoughts in response to adorable creatures are just one example of “dimorphous expressions of positive emotion,” Aragón says. “So people who, you know, want to pinch the babies cheeks and growl at the baby are also people who are more likely to cry at the wedding or cry when the baby’s born or have nervous laughter,” she says. Esta entrada se ha publicado en Artículo, Cerebro, Cosas Nuevas, Efectos Secundarios, Estudio, Sabías que, Salud, Vale la pena ver y se ha etiquetado como abrumado, actividad eléctrica, agresivo, Cerebro, emoción, lindo, pensamiento, ternura, vacaciones. Marca el vínculo permanente.